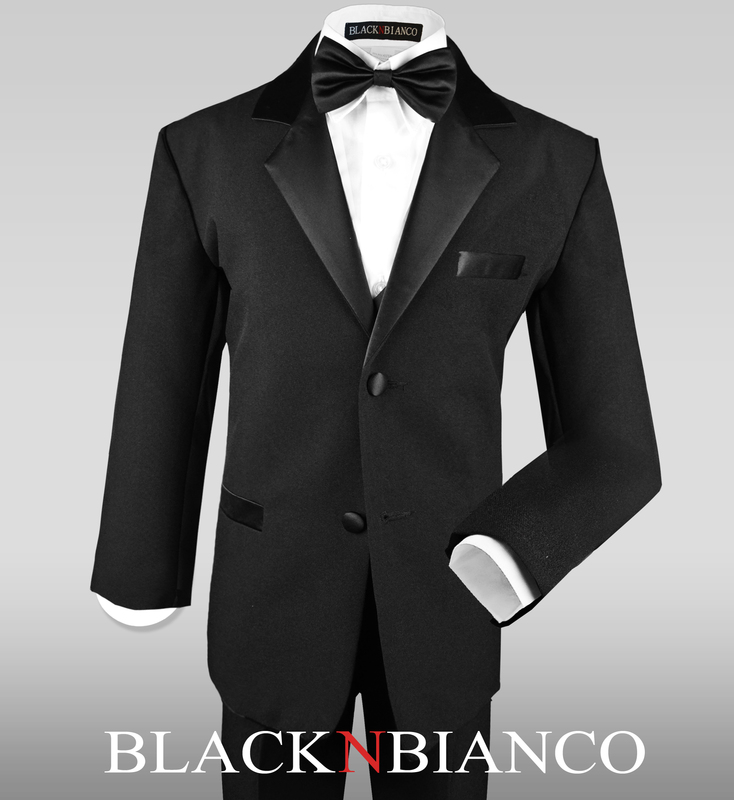 Formal Tuxedo for Kids of all ages. 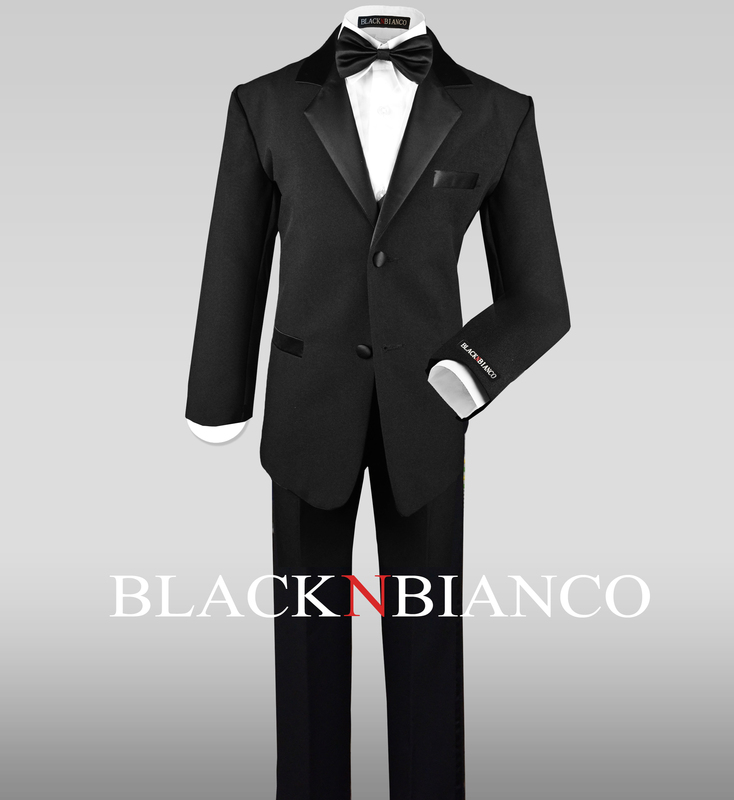 Black N Bianco is dedicated to providing an easy process for your little ring bearer to finding his outfit. 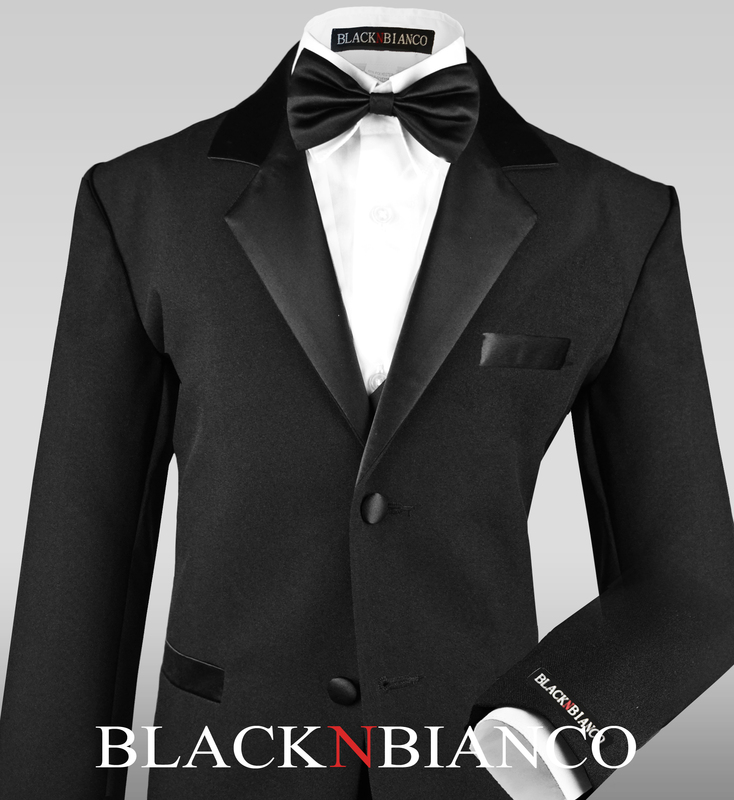 We have a wide variety of tuxedos and suits for boys of all ages. Made for comfort and style your ring bearer will easily fall in love with one of our outfits. Winter wedding season is upon us and prepping for your wedding can be hectic. We try to easy that the planning process by providing you a quick and simple way to find a outfit for your little guest. Exchanges are a quick and simple to make your wedding planning a lot smoother. Don’t be afraid to ask us any questions we are here to help!